People are addicted to small hand held devices now a days, everyone prefers to do their online tasks whether it is search, social media activity or email via mobile or tablets. Do mobile device produces same search results as the one provided by laptop or computer using your normal internet connection? Answer is NO!! 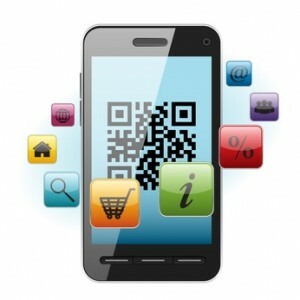 Mobile devices have different results and that is why Mobile Marketing is next big thing for your products or services. But how can you achieve that? This is something similar your other online Marketing campaign, you need to spread your message as you do for other techniques. Essential thing is to get the Expert Service Provider. 1. The same as with other marketing media, you should start with deciding what your goals and objectives are; what you want to achieve. Plan for mobile – don’t just use a campaign that was developed for another media. 2. Understand the people you’re targeting, what their needs are and why they will buy. 3. Decide which action you want your customers to take. Mobile marketing is highly interactive allowing you to engage with them. Make sure your customers feel engaged. 4. Do try something new because mobile marketing is a relatively new field. Dare to be different. Yes, there always is the possibility of failure, but at least you will know what doesn’t work. 5. Don’t use it because it is technology and new. Make sure it is a well thought out advertising campaign. 6. Keep it simple. Make sure any customer can repeat your offer to another prospect in one sentence or less. All winning campaigns are simple. 7. Target several niches for maximum effect. To call your campaign effective, you need to target all your customers – do not exclude anyone. 8. Make sure your messages are relevant to ensure maximum engagement. If your messages aren’t relevant, they will not engage your customer. 9. You need a clear call to action so your customers know what to do. If they are unclear on the next step to take, you will lose them. 10. Don’t forget about your brand. You need to keep the brand in customers’ minds to build loyalty to your brand. 11. Make sure you use the opportunities that are unique to mobile, such as location-based services and text campaigns. Also offer content that is exclusive to mobile so you don’t alienate your PC readers. 12. Look for evidence that your campaign was a success and that you have achieved a return on your investment. This is, after all, why you created the campaign. 13. Is your presentation up to scratch? If not, you may lose some customers for whom this is important. 14. Don’t forget to test everything first to make sure it looks good. 15. Test results so you know what to avoid or concentrate on in future. Mobile marketing is the trend of the future and, if you know how to use it to sell and generate leads, your business will grow. This entry was posted on Friday, March 8th, 2013 at 5:56 am and is filed under Mobile Marketing, Social Media. You can follow any responses to this entry through the RSS 2.0 feed. You can leave a response, or trackback from your own site.